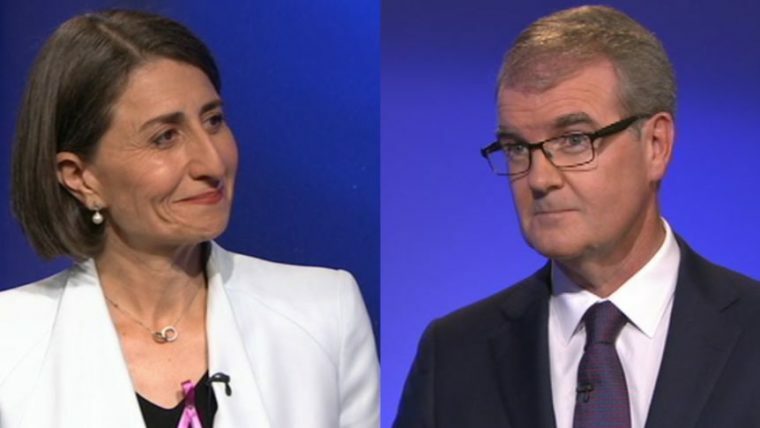 UPDATED: NSW voters are walking into an election on Saturday and it’s going to be very close with the latest YouGov-Galaxy polling showing the NSW Coalition government and Labor split 50-50 on a two-party preferred basis, with just days to go. And sustainability has emerged as a vote-winner, with each major party putting up policies for household renewables, public transport, waste and more. The following is (some) of what the major parties are promising on sustainability impacting the built environment. The incumbent Coalition government is promising no-interest loans for solar-battery and battery systems in 300,000 NSW homes. If re-elected, the government will also make it easier for strata committees to approve solar panels and batteries for apartment blocks by lowering the voting threshold from 75 per cent to 50 per cent, in line with similar changes to strata laws in Western Australia that recently came into effect. The Coalition will also boost the Emerging Energy Program with an extra $20 million to encourage private-sector investment in large-scale electricity and storage projects. The Liberals also have a target for NSW to have zero net emissions by 2050. Labor will introduce a renewable target (50 per cent renewable by 2030, “as close as possible” to 100 per cent renewables by 2050) and the “largest investment in renewable energy in Australian history” to deliver a total of 9 gigawatts of renewable energy by 2030. The party is also promising 500,000 new solar homes by 2030, delivered through a $2200 subsidy; a $100 million Solar Schools package; and $11 million to train electricians in solar and battery storage. The party has also promised to put air-conditioning in every public school in NSW to be powered with rooftop solar panels “where possible”. The NSW Greens have also announced a PV policy in the lead up to the election. The $1.25 billion plan would make rooftop solar and battery storage mandatory for all new dwellings in the state and guarantee a minimum price for self-generated power fed back into the electricity grid. The party also is also pushing for a community solar offset scheme. Labor is promising to scrap major road projects such as the Western Harbour Tunnel and Beaches Link and instead put this money towards the $8 billion “fast-tracked” construction of the Metro West line from Paramatta to the CBD. The party also plans to scrap a public transport project though – the $1.5 billion conversion of Sydenham-Bankstown to a Metro line. The party also supports free public transport for kids, lower the cost public transport to the airport, clamping down on tolling transparency, bringing back the M4 cashback scheme and holding a judicial inquiry into the WestConnex and Sydney Light Rail projects. Labor also want to encourage more children to cycle and walk to school with a $7 million investment. The Coalition will similarly provide $6.4 billion to “accelerate” the Metro West line. A re-elected government will also build a new metro line from St Marys to the new airport at Badgerys Creek and add 14,000 weekly bus services various NSW networks. The Coalition is also pouring money into major road projects, including $14 billion in initial funding for the Western Harbour Tunnel and Beaches Link and $2.5 billion to duplicate 31km of the Great Western Highway between Katoomba and Lithgow. The Coalition says it is spending big on infrastructure to support Sydney’s growing housing development sector and wants to increase housing supply at “reasonable prices”. Labor wants to make sure density is not concentrated in western Sydney by reviewing housing supply targets set by the Greater Sydney Commission. It would also do an audit of all publicly owned land, create an “affordable housing land register”, and mandate that 25 per cent of houses on government-owned land and 15 per cent of privately developed land was affordable. The Greens plan to build 300,000 social homes. The party also says everyone will be able to apply for social housing, with rents capped at 25 per cent of their income. On waste, a Labor government will ban single-use plastic bags within 100 days of taking office, eventually phase-out all single-use plastic with the help of the EPA and invest $140 million in recycling facilities. The Coalition will boost recycling with $30 million through the Waste Less, Recycle More program. On water, Labor is promising a $1 billion infrastructure plan for city and regional water, a commission of inquiry into the Menindee fish kills, and stopping the Menindee Lake diversion plan. The party would also scrap plans to raise the height of the Warragamba Dam. The Coalition will invest $1.4 billion from the $4.2 billion Snowy Hydro Legacy Fund on water security projects. On mining, Labor is opposed to the Santos Narrabri coal seam gas project. The priority for the Coalition is “clean, reliable and affordable energy”. The Greens are calling for no new coal mines or gas mining, to phase out thermal coal mines within 10 years and to legislate closure of coal-fired plants by 2030.